BTC - You have until exactly June 8th to contest the implementation of yet *ANOTHER* national ID program, according to Cato, integrating the motor vehicle driver license records into E-Verify's labor records databases. "The government's online consulation on the perimeter project ends Friday. Some opponents have complained the public cannot meaningfully comment on the plan based on the vague declaration issued in February. Records recently released to The Canadian Press by the Public Safety Department through the access-to-information law provide little new information about the continental proposal, as dozens of pages have been completely censored." 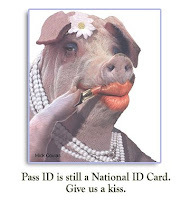 Wisconsin NBC affilliate misinforms constituents of Real ID "bill"
BTC- NBC's TMJ news desk reported a Real ID bill requiring local drivers license applicants to adjust to "secured ID" rules administered only by the Department of Transportation. There is no such bill. The NBC affiliate's news desk operator's "It's a done deal" quote seems to imply this is more than just editorializing - it's misinformation. Wisconsin is struggling to save costs on national secured ID cards, which a local DOT Operations Manager compared to a passport in terms of risks and identity theft. The new licenses will greenlight Wisconsin airtravel and voting in local elections. Drivers licenses will be farmed out to L-1 Identity solutions in California for production and mailed back to Wisconsin residents. Wisconsin would not be the first state to attempt administrative rule over local rule of law or due process of consent. Real ID certified licenses distribution will start in the fall of 2011. 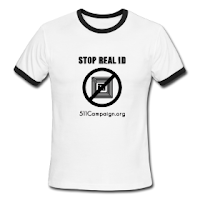 CT Repeal Efforts "Real ID Means Real Hassle, And For What?"